With a fascinating array of landscapes and villages, Cádiz is the most varied province throughout all of Andalucía’s stunning vistas. 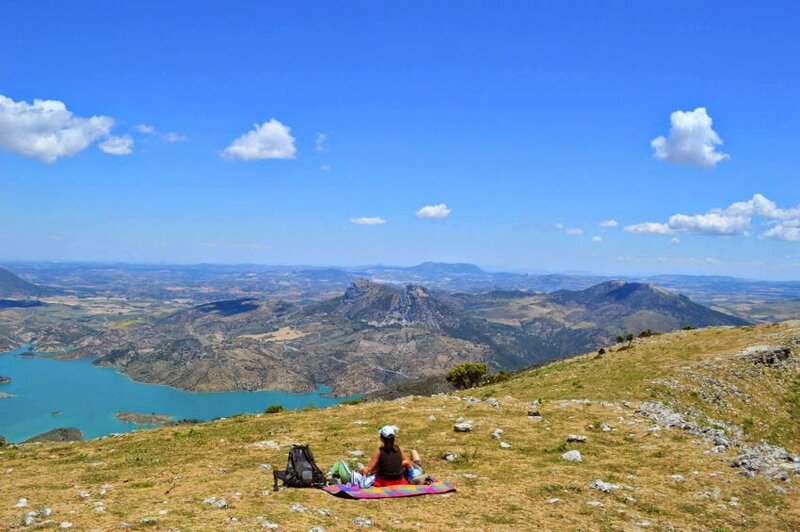 From the sweeping beaches of the Costa de la Luz, to the “jungles” of Los Alcornocales Natural Park, the “I-can-almost-touch-Africa” El Estrecho Natural Park – and the most prized of all the Natural Parks, the majestic Sierra de Grazalema. A mountain wilderness that’s unique to Andalucía, the Sierra de Grazalema is a UNESCO Biosphere Reserve. Quite simply, it is one of the most breathtaking of Spain’s natural landscapes. The Sierra de Grazalema’s limestone mountains, making up most of it, date from the Jurassic and Triassic periods, and as it’s the first mountain range the Atlantic clouds roll into it has an exceptional micro-climate. Sitting in the heart of the park the whitewashed village of Grazalema takes the country’s highest rainfall. It makes for a botanical paradise. It’s hard to believe that Spain’s wettest area is so far south. Due to the Föhn effect, Grazalema receives on occasion over 2000mm of rainfall a year. If you consider that Europe’s last official desert is just a few hours drive away – in Almeria – this just goes to show you how diverse Andalucia’s micro-climates are. Yet, most of this rainfall falls in Autumn and Winter. Statistically speaking the village of Grazalema still has over 300 days of sunshine a year. Hiking in this area is best done in Spring. The summers are long and hot. More than a third of all Spain’s plant species can be seen in Grazalema. This, remarkably, includes numerous species dating from before the Ice Age. Most well known of these is the rare Abies Pinsapo, or Spanish ﬁr, a species native only to southern Spain and northern Morocco. 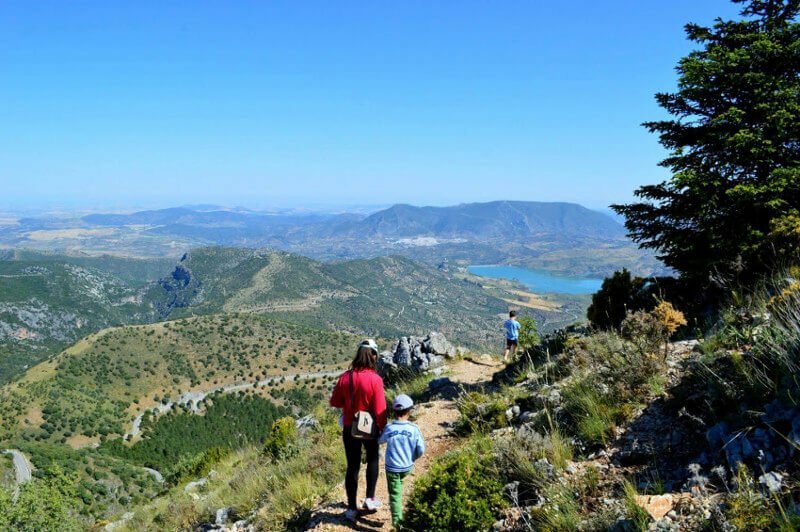 Today Pinsapo forests are only found in the Sierra de Grazalema and neighbouring Sierra de las Nieves (see here for family walk through the Sierra de las Nieves Pinsapo forest). Every valley, cliff face and mountain peak is different. You could hardly dare to dream of a more varied and heavenly natural area. To truly appreciate this area, it’s best to walk. Before you set off, be aware that to protect this unique environment, access to several parts of Grazalema is restricted, particularly during summer months due to fire risk. The Pinsapo forest near Benamahoma is completely closed off and access to the Garganta Verde is very restricted – you’d permissions beforehand (obtained from El Bosque’s town hall) if not properly prepared and depending on water levels, they may insist you go with a specialised canyoning group. However, there’s still a mighty abundance of awe-inspiring beauty to see. 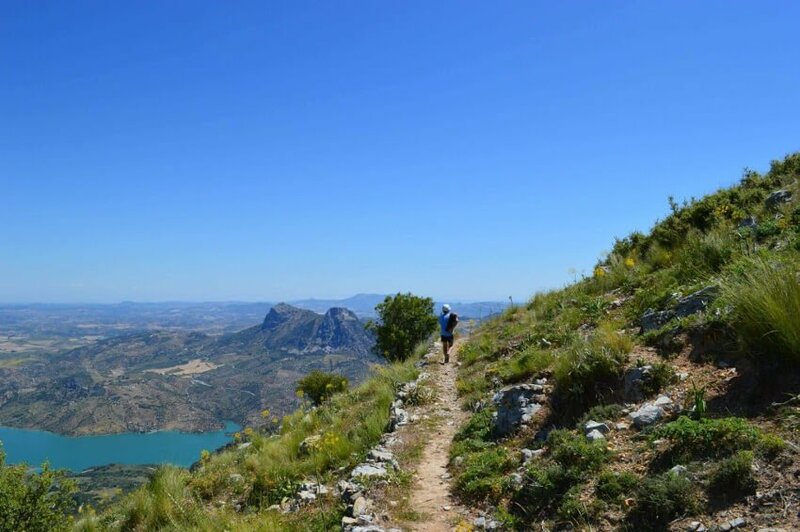 There is an almost unlimited amount of beautiful routes in Grazalema, everything you’d want and more. But definitely one of the best family walks in the area is this one. Climbing the Cerro Coros mountain. From the village of Grazalema, take the CA531 road. 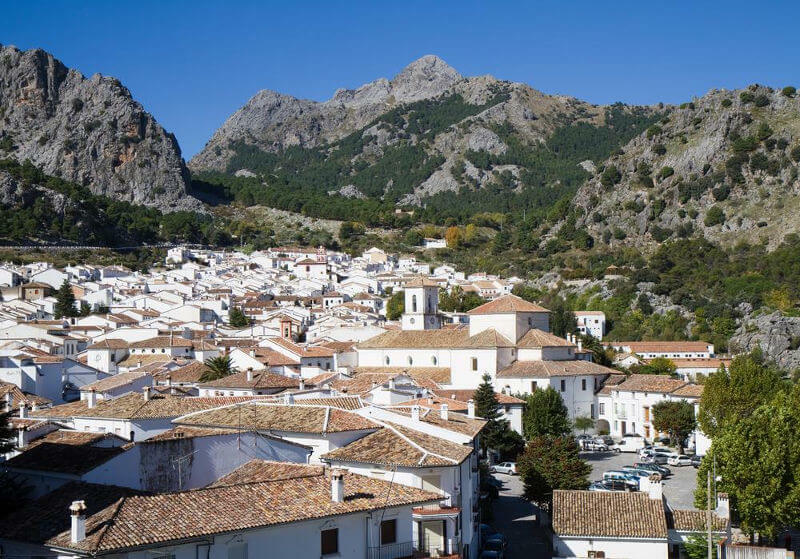 This windy mountain route takes in some of Andalucía’s most picturesque scenery and is the main way of the popular Pueblos Blancos (White Towns) route. Following the CA531, going in the direction of Zahara de la Sierra, the road climbs steeply and eventually reaches its highest point, Puerto de las Palomas (Pass of the Doves). At 1,350m, it is the second highest pass in Andalucia. It’s from here, high up in the blue skies, that the walk starts. Many people make it to the viewing point at Puerto de las Palomas, but with a bit more push you can get unbridled views across the whole area. The mountain sitting directly in front of you is Cerro Coros. It reaches up to 1,328m. From its top, you get a real 360-degree experience. On a clear day the views are breathtakingly exceptional. The quickest and most direct way up it is by walking across the road from the viewing point at Puerto de las Palomas. There’s a small asphalt path leading up. Don’t be put off by the gate (you can open and close it on the way up). Just carry straight on, walking past a small concrete hut and a couple of stone goat pens. The Cerro Coros is straight ahead. Keep on making your way up the mountain. But there is also a far more scenic route, which is a circular one as well. Despite being longer, just over 6km, the views are truly astounding and well worth it. For this way, instead of walking up the path across the road from Puerto de las Palomas, take a left and follow the path up the mountain there. You almost immediately come to a gate, keep following this track as it winds around the mountain. Then after the first bend, the whole world seems to open up before your eyes. Panoramas simply don’t get much better than this: Zahara’s reservoir and castle, the villages of Algodonales and Olvera……it’s utterly mesmerising. Easy to follow, the path winds around the side of the mountain and starts to climb. For the last few hundred metres, the track is not so well defined and you need to walk across the countryside, but the peak is visible from afar and makes an easy reference point. It really is an unforgettable experience and easy enough for most children to do as well. There are a couple of sections that are fairly vertical, so if walking with children make sure to keep an eye on them and don’t let them get ahead. Related hikes – there are some beautiful family walks in this area. One of our favourites is along the Majaceite river – between the villages of El Bosque and Benamahoma. Additional information coming soon. A short drive away you have Mr Henderson’s railway hike near Ronda – which is suitable for families. As mentioned above, access to the Pinsapo forest is very restricted in Grazalema but definitely worth the effort. The Garganta Verde is another amazing spot and just about suitable for families (depending on ages and abilities). It’s more technical and care needs to be taken during the wetter months. Cycling the Via Verde de la Sierra in the neighbouring village of Olvera is highly recommended too. It’s another great family adventure.